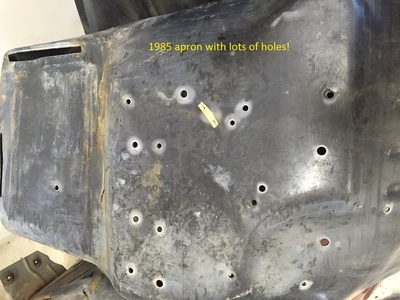 Sometimes called "fender aprons" or "inner fenders" or "fender liners", these are the plastic pieces that are fastened to the fenders and hold various items, like vacuum reservoirs and ignition modules. However, we have to remember that this version of the catalog was printed in 1994. And, the E5 prefix says the item was engineered in 1985, so there must have been earlier versions, although we don't know what those versions were. Having said that, I do have three different versions in my possession. 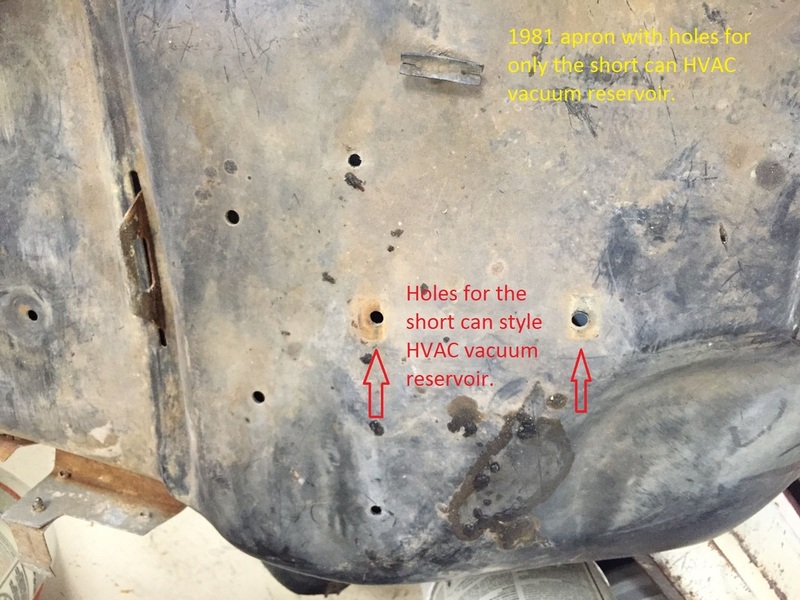 Notice that the left one, from Dad's 1981 truck, had just two holes and they fit the short can style HVAC vacuum reservoir. 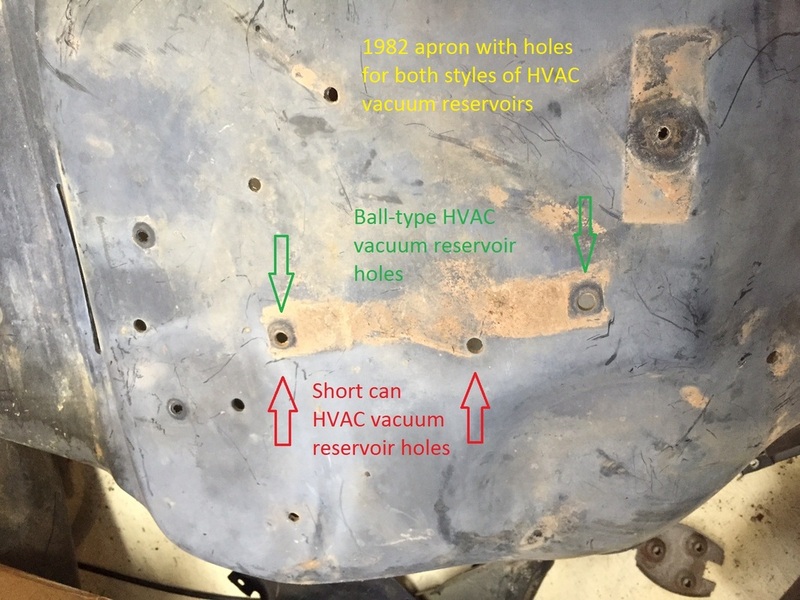 (See the page on Vacuum Reservoirs for a discussion of them.) 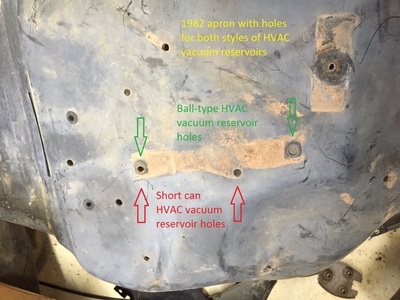 The middle one is from a 1982 truck, and still has those same holes, but you can see where another hole was added further to the right to fit the new ball style reservoir - and you can tell from the dirty spot that this one did have the ball style mounted. Then, the far right apron is from a 1985 truck with holes everywhere. So, I believe there were at least 3 versions from Ford.